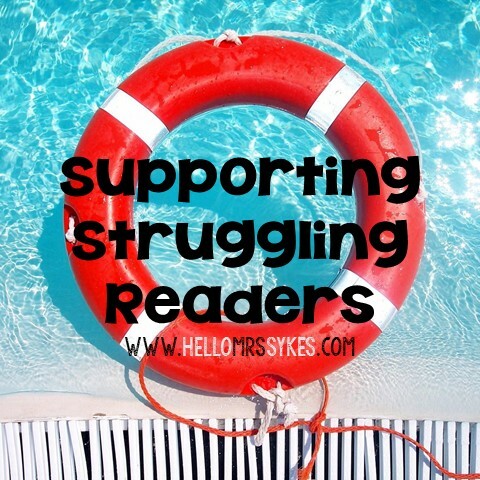 Need a quick way to review? Want to see what your kiddos know in less than 15 minutes? Scoot is a game I use in classrooms to get kiddos up and moving while we review. It's a quick way to get a look at how the class is doing with a concept. Just like any other game you play with students, teach them how to play it. It's a great way to spend 10 minutes on a rainy day, trust me. To play Scoot, put one numbered task card (in order) around the room. Essentially, students move while the task cards stay still. I use the same clockwise rotation each time to help the flow. 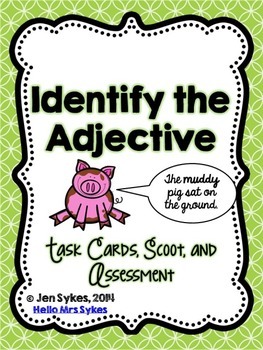 Each student starts at a different task card with their numbered paper and pencil. If they are standing at task card #7, they answer at spot #7 on their paper. Students solve the task card they are standing at, look up to let the teacher know they are ready, and the teacher calls, "1, 2, 3, Scoot!" Everyone shifts to the next ordinal number card to work on the next task card. If you just finished working on card #7 you move to card #8. 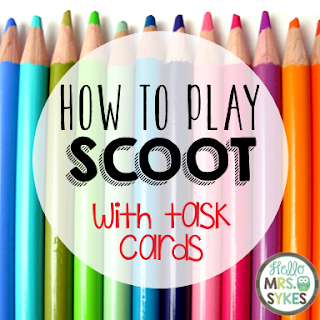 Have you used Scoot? What are your experiences? Or are you going to go try it out at school this week? Leave a comment below to let us know!